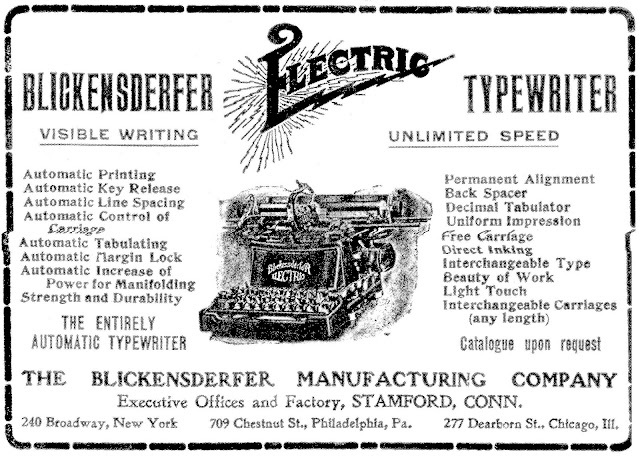 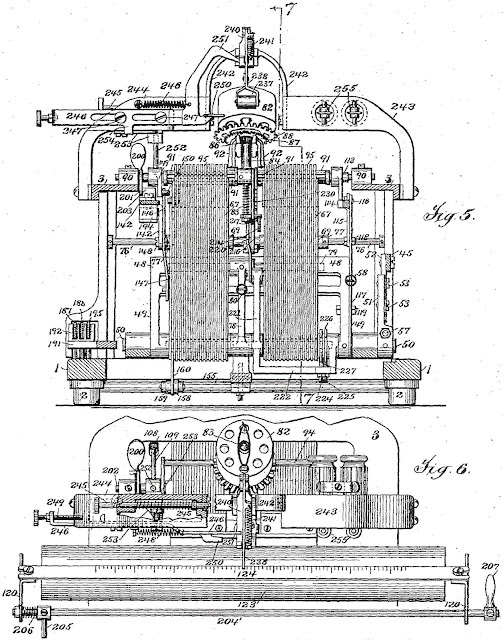 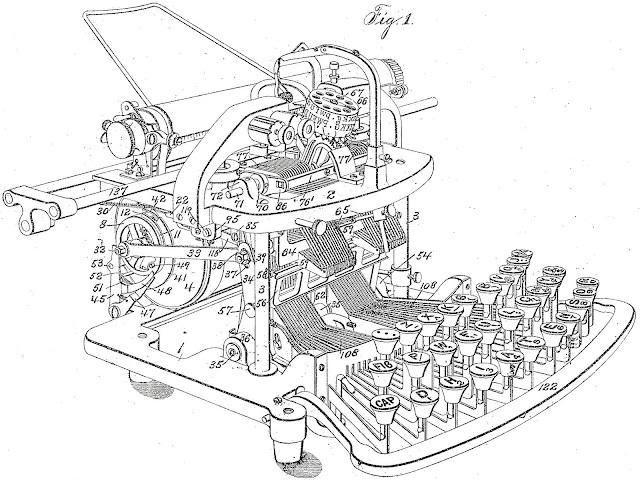 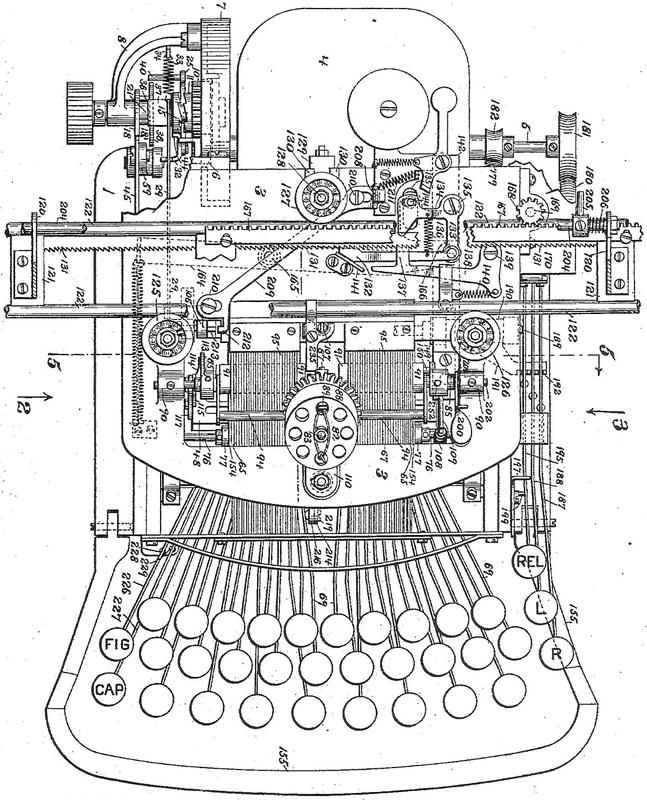 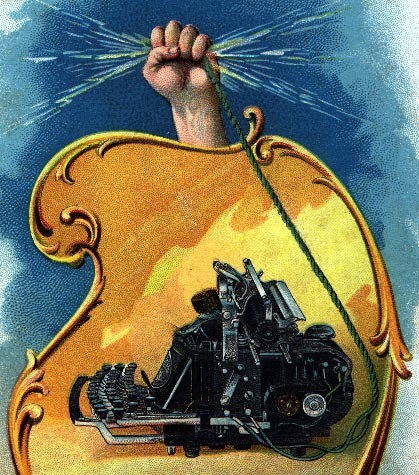 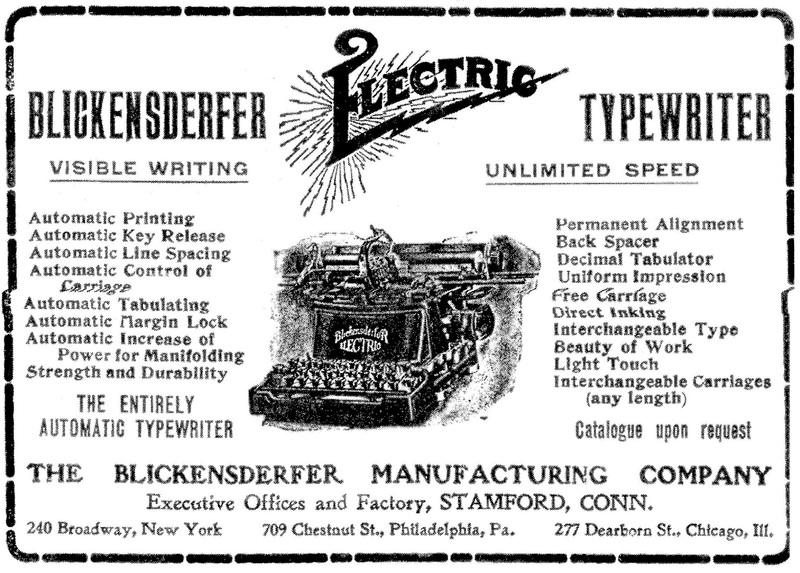 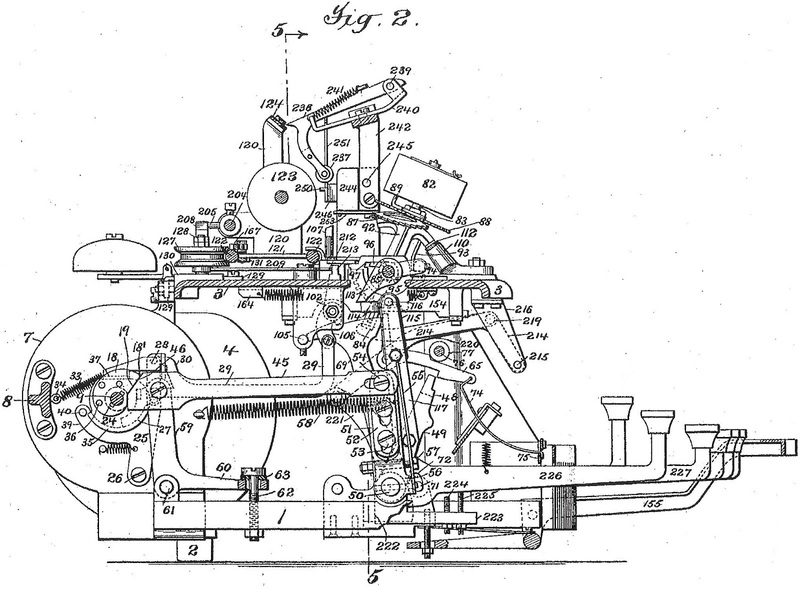 The 112th anniversary of George Canfield *Blickensderfer’s first application for a patent for an electric typewriter passed last week, on April 26. 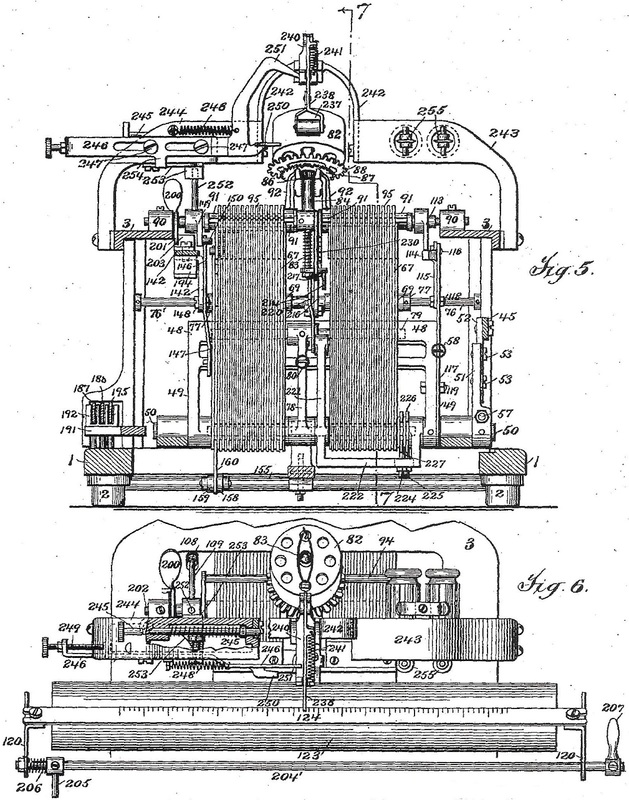 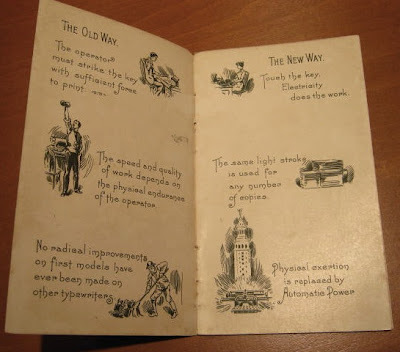 Today, April 30, marks 109 years since one of his last applications related to this wondrous machine. 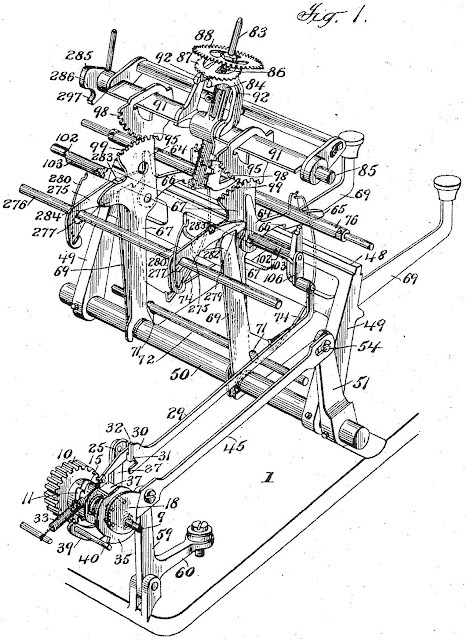 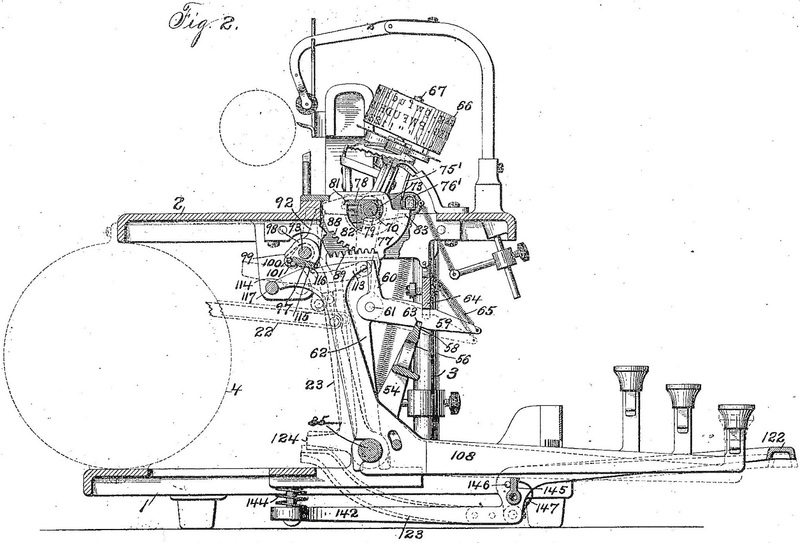 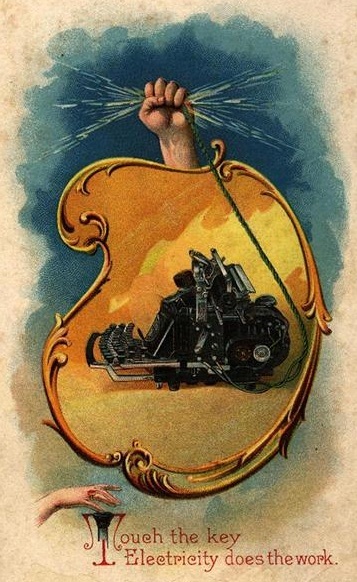 As Paul Robert explains it in his book The Five-Pound Secretary, it is “a complicated patent designed to allow the typing speed to be increased by allowing a key to be struck before the previous motion of the typewheel has been completed”. 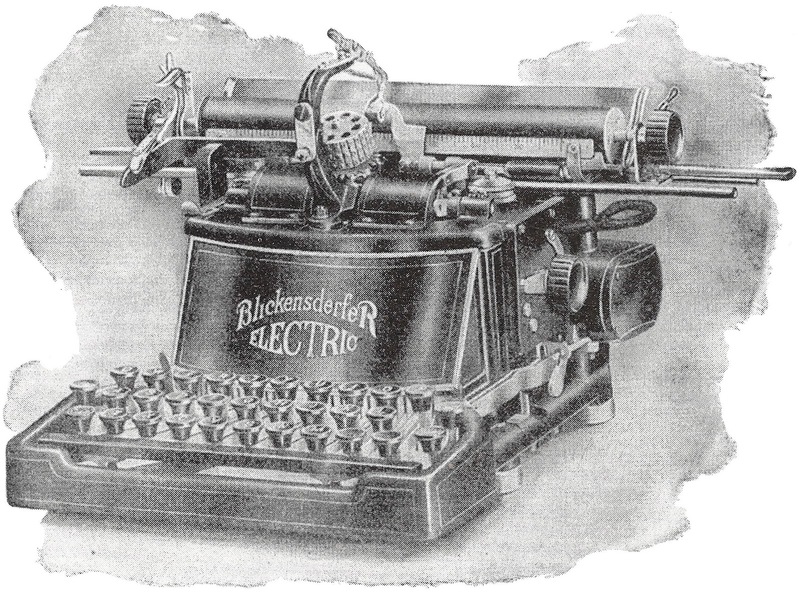 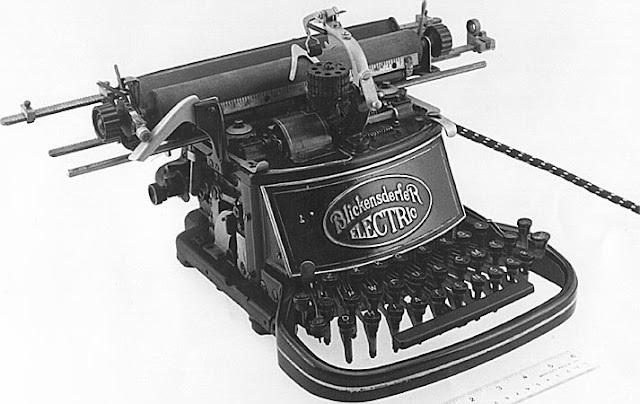 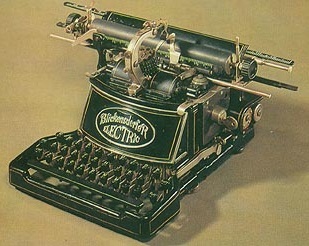 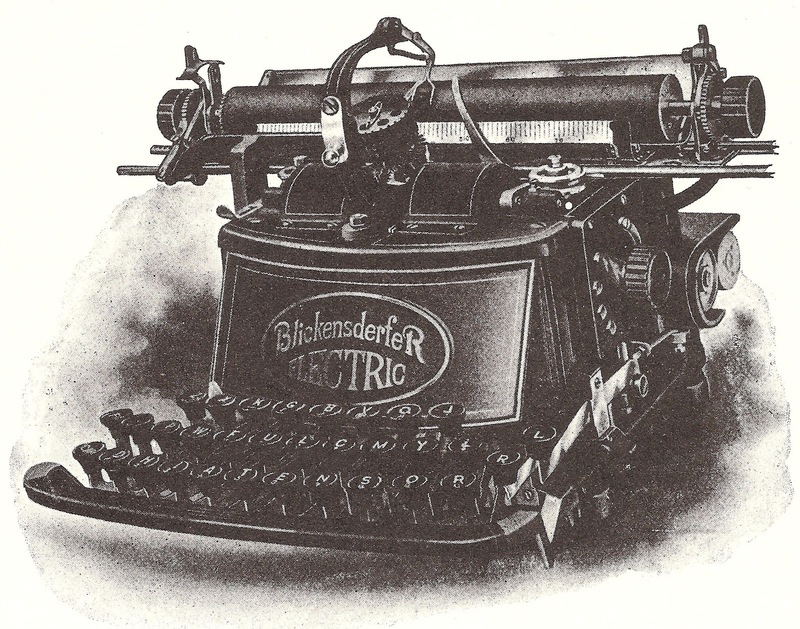 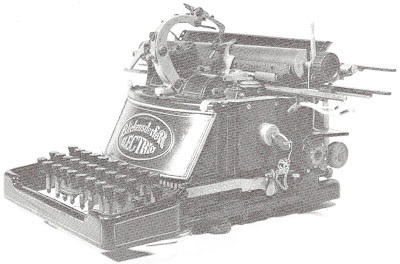 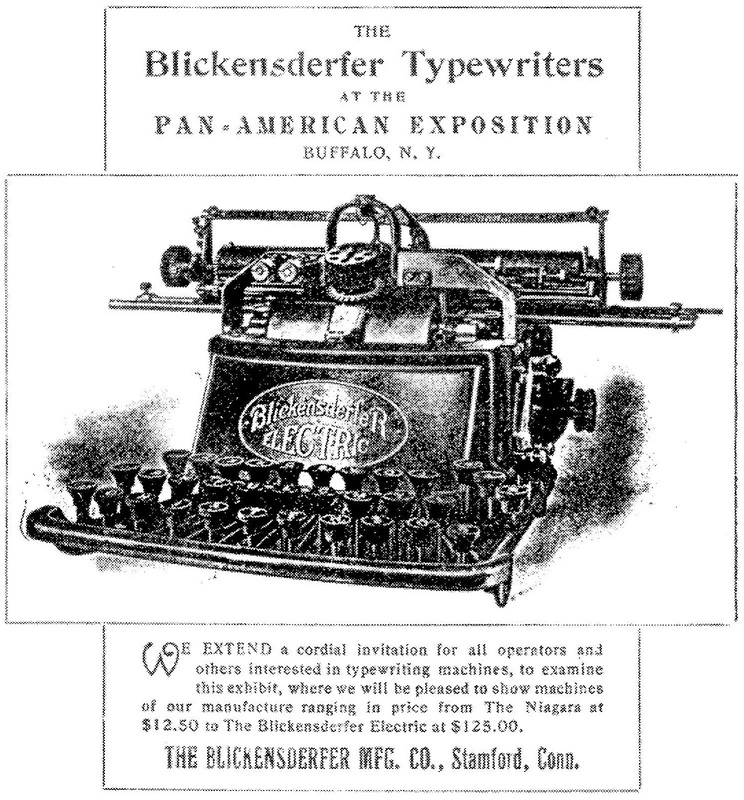 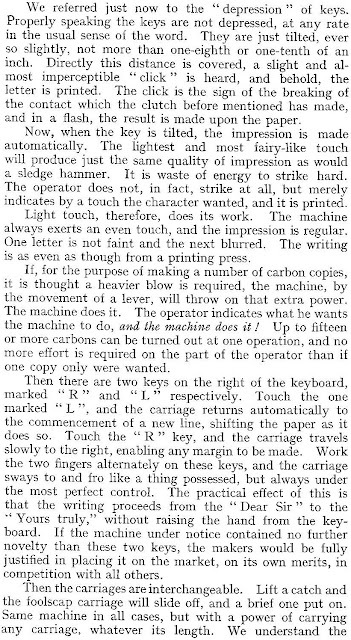 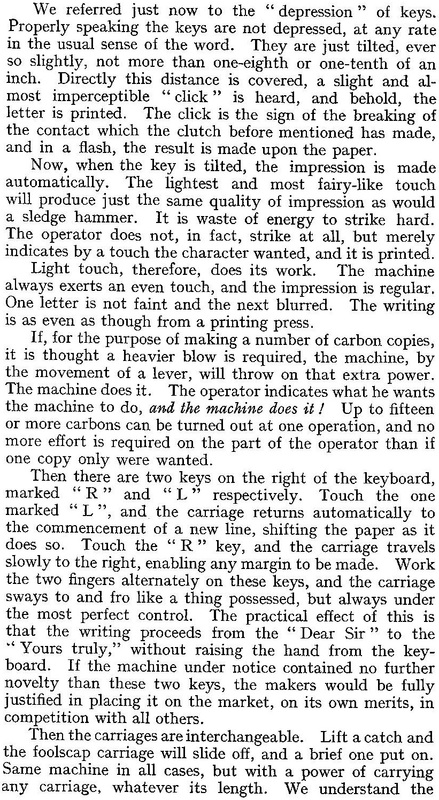 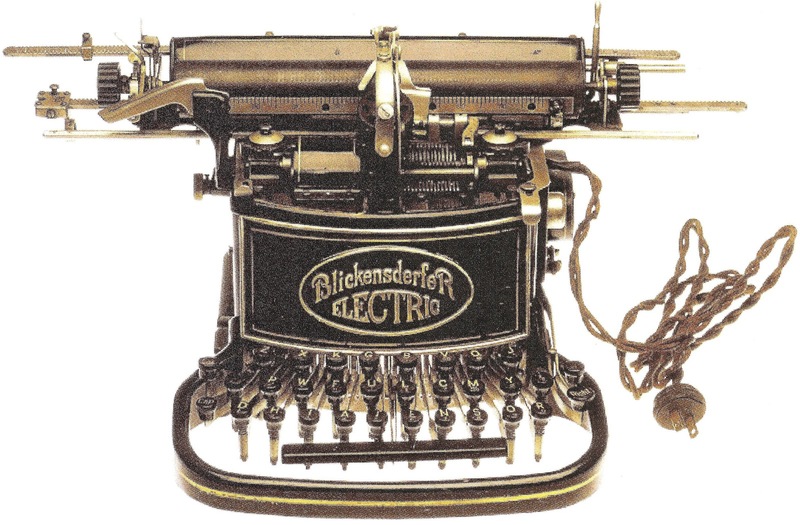 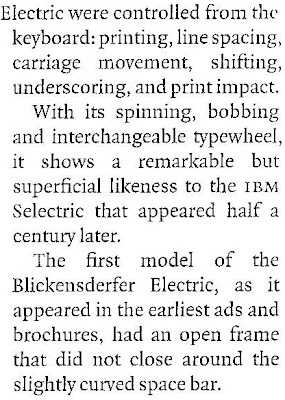 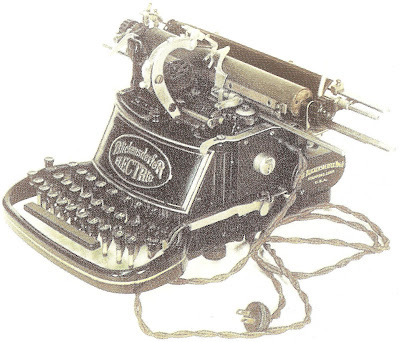 As one can see from the advertising booklet for the Blick Electric, speed of typing was the No 1 motivating force behind this breakthrough invention – a typewriter decades ahead of its time. Cover photograph from ETCetera No 33, December 1995, with an article which is downloadable here. 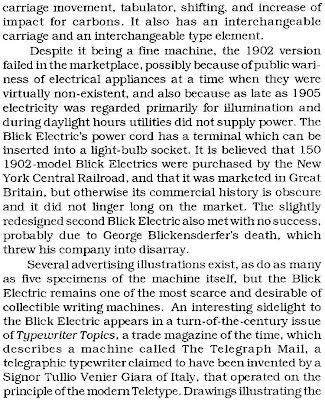 One hundred and ten years after it first reached a rather bewildered marketplace, the Blick Electric continues to fascinate. 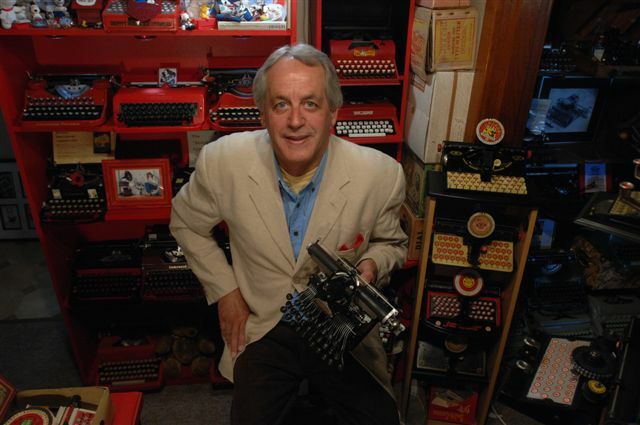 I understand one of these exceptionally rare typewriters sold at auction for a six-figure sum. 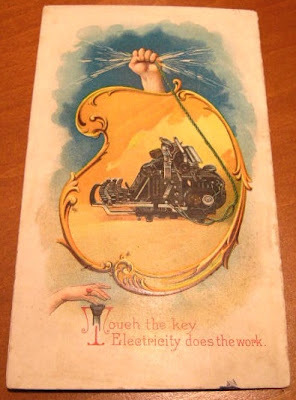 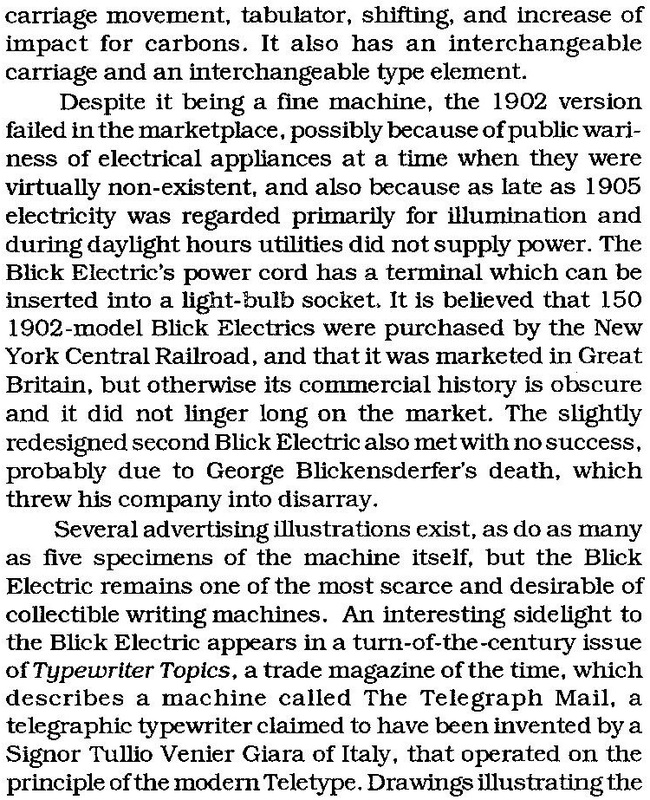 Many theories have been put forward as to why the Blick Electric was not the commercial success it deserved to be, from a still-widespread fear of electricity to an elimination of the “human element”. 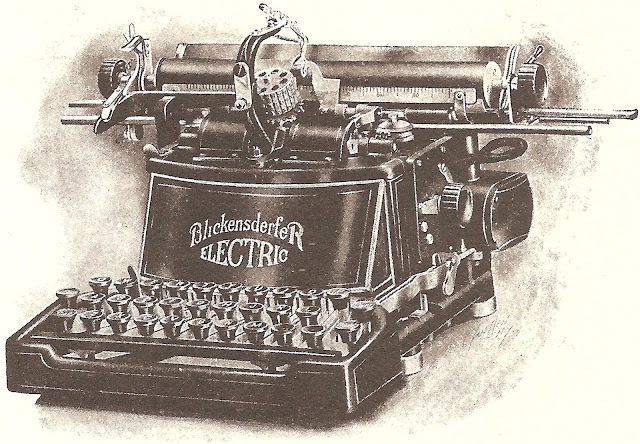 Whatever the real reason, there seems no doubt whatsoever that the Blick Electric simply came much too much before its time – perhaps by as much as 60 years. 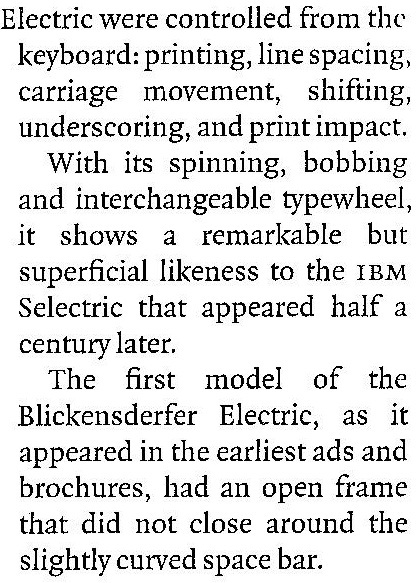 It was a case of “Future Shock” alarming potential buyers. Paul Robert devotes a chapter to the Blick Electric in The Five-Pound Secretary. 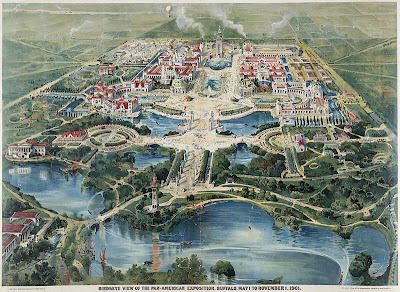 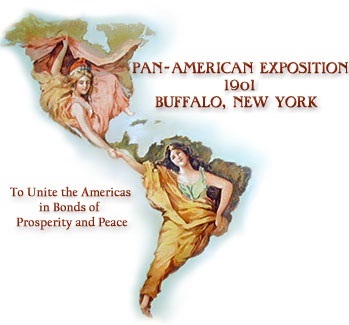 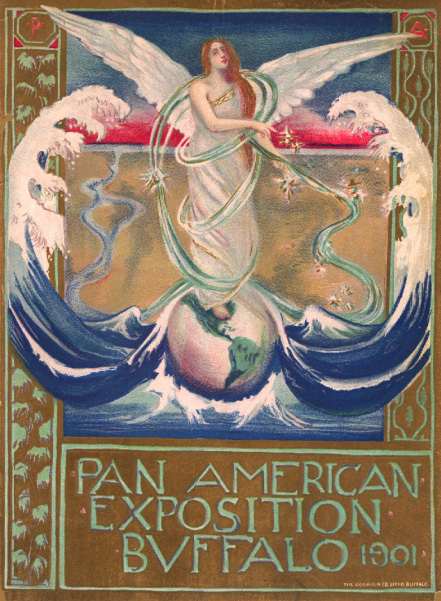 He says it was launched at the Pan-American Exposition in Buffalo, New York, in September 1901 (the exposition opened on May 1). 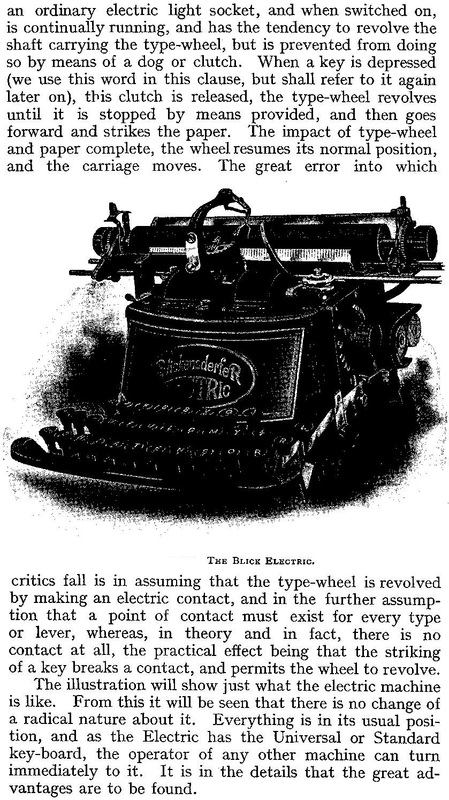 The typewriter’s cost was a steep (for the time) $125. 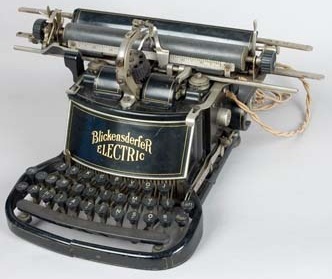 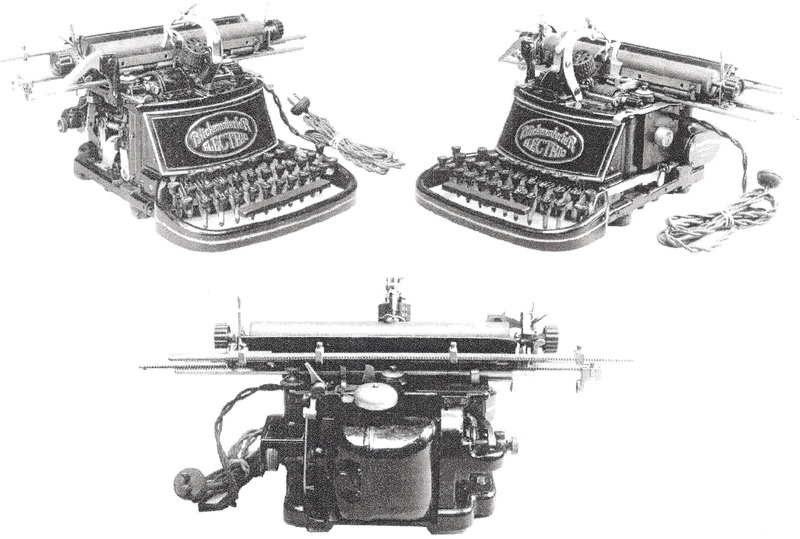 The first machine had a slighted curved keyboard surrounded by an aluminium spacebar, like the manual Blick 7. 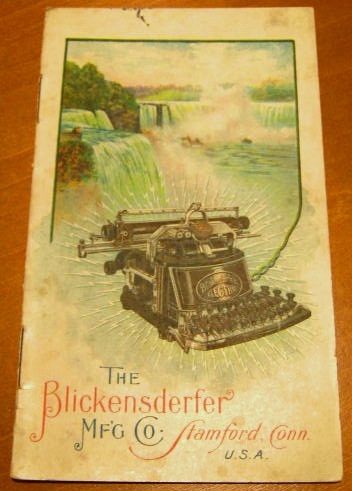 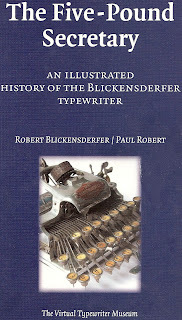 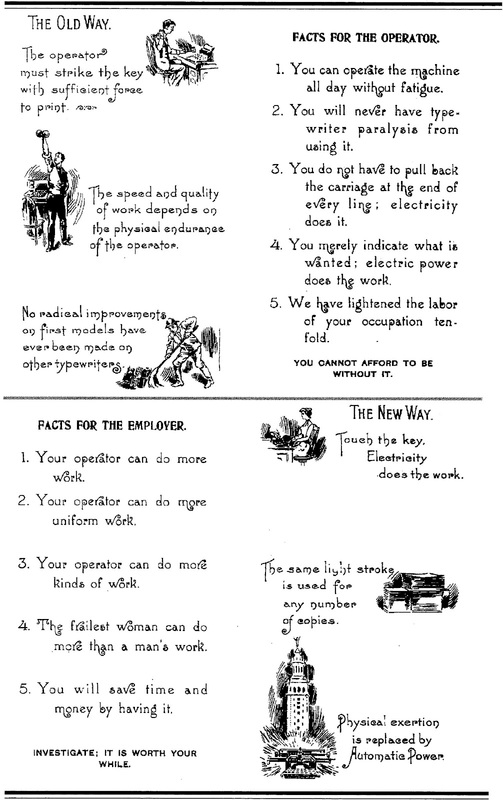 Paul Robert says that in 1903 Blickensderfer patented major improvements. 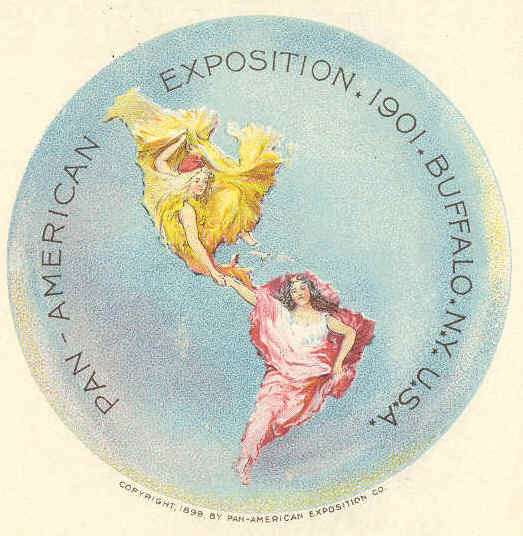 The patent application for these was actually made in December 1901, straight after the Pan-American Exposition, and issued 13 months later. On later models, the keyboard was enclosed by either a curved front around a curved DHIATENSOR keyboard or a straight front and straight QWERTY keyboard. *Some asinine idiot has changed Blickensderfer's name on Wikipedia to Sir Cody Lovell Blickensderfer. 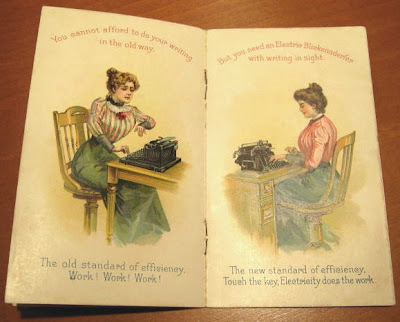 It's beyond me why anyone would want to do something so cretinous.